Many of us use Digital Cameras in place of 35mm and are expected to be able to use them on sites, relying on the automatic setting to get the photograph we need. As Photography is one of the 4 basic records on archaeology ( Written, Drawn and Surveyed being the others) you are expected to be able to take onsite photographs that will allow a better record on the excavation. PRINCIPLE: Have a basic grasp of the fundamental requirements for camera use and the sequenced methodology of photographic recording. Novice – Is able to use an automatic setting camera to take general recording shots and fill in a photo record sheet with close supervision. Competent – Understands the basics of manual camera use, scales, lighting and preparing an area for photography. Able to produce a photo record sheet with minimal supervision. Proficient – Can use a digital and fully manual 35mm camera including Digital SLRs, appropriate use of film types and can prepare, prioritise and produce a photographic record without supervision. A large f-number (ie f16) creates a large depth of field where subjects both near and far will be in focus. A tripod keeps the shot steady, if you don’t have a tripod, breath in then fully out before taking the shot. Depending on your site you may have a Photoboard, North Arrow and Scale – Make sure you have at least a scale in the image. Consider what you are trying to photograph before you take the shot, and ensure the area is clear of buckets, tools and peoples feet. 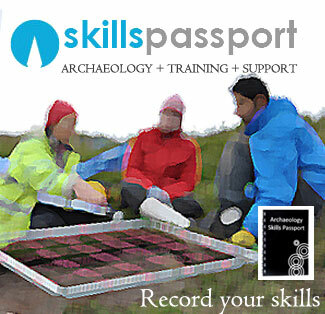 Photography in Archaeology – Site Specific Lisa Jayne Fisher examines the best practice in archaeolgoical photography onsite, from trench to section, and a guide to the equipment you should consider essential for best practice. Photography in Archaeology – the basics With over 30 years of field experience in photography in archaeology, David Connolly provides a basic guide to getting the best image that meets the standard requirement for site photography . Photography in Archaeology – Artefacts Professional photographer Lisa Jayne Fisher provides an in depth but easy to use guide to the best way to photograph a selection of finds, from ceramics to glass.